Back to school is upon and one of the most important jobs of a school based therapist is to keep open lines of communication with teachers, staff, and parents. 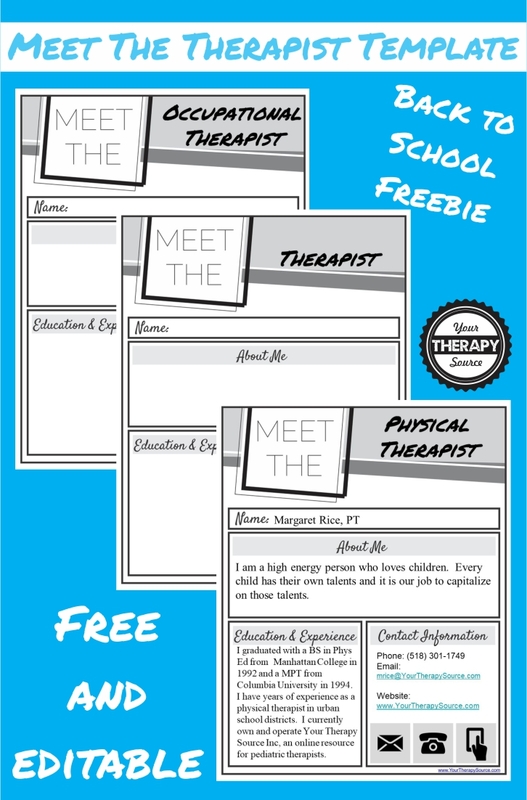 Complete this FREE Meet the Therapist Letter for Back to School to start the year off right (free download at end of post). Parents may encounter new teachers, staff, and therapists from school year to school year which can be difficult. School staff, parents and school based therapists can help to forge stronger relationships by communicating with each other. This can be the key to a student’s success if everyone is on the same page. 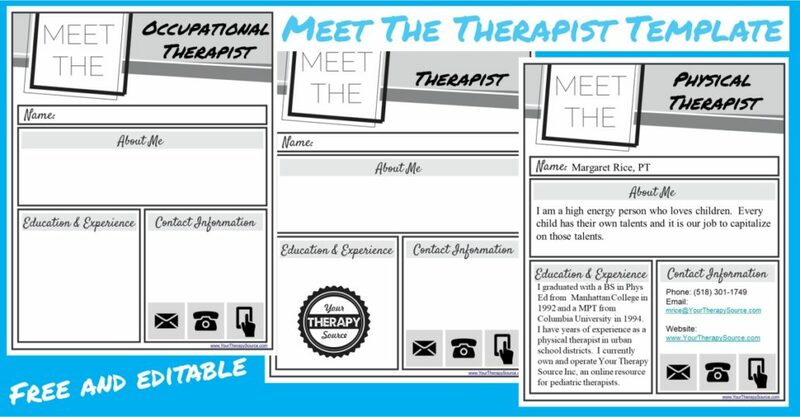 The Meet the Therapist Letter can be edited in Google Slides or Powerpoint (or just print as a PDF and hand write in the boxes). You are not able to edit the basic layout, but you can edit each text box. You can change the job title to anything in Google Slides or Powerpoint i.e. OT, PT, COTA, PTA, Speech Language Pathologist, Teacher, etc. This letter helps to provide information about you, your education, experience and contact information. View the sample Meet the PT letter. 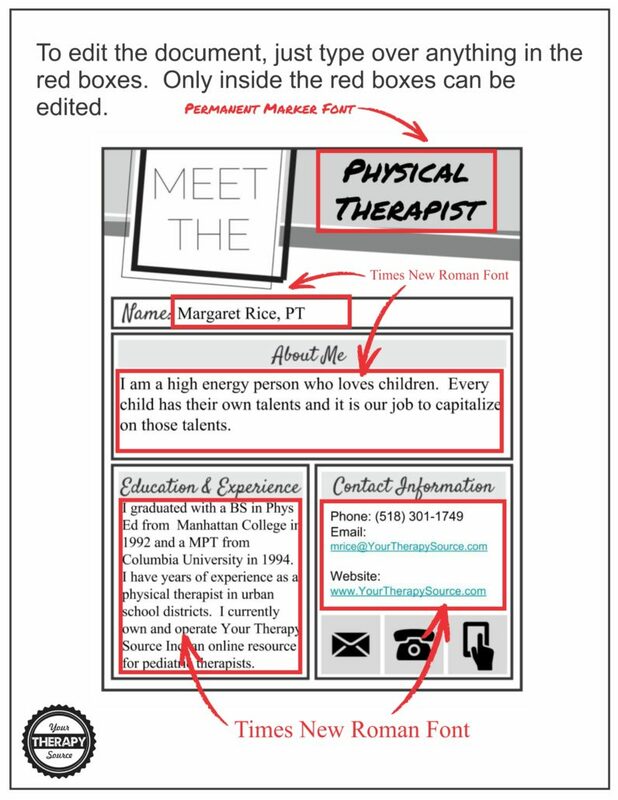 When you download the freebie, be sure to edit the one page or start fresh by just typing into the text boxes. 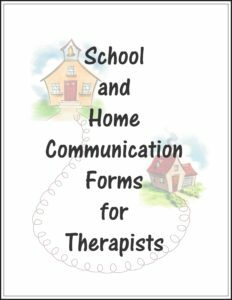 If you want more forms and templates to increase communication between school and home check out, School and Home Communication Forms for Therapists. Find out more about School and Home Communication Forms for Therapists. Read 5 Steps to Increase Communication this School Year. To download your FREE Meet the Therapist Letter sign up to receive our email newsletter and you will be redirected to the zip file. If you are already a subscriber just enter your email and you the download will start.